We are a production company for theatre, film, radio and tv. We are dedicated to the art of storytelling for audiences young and old. We develop new projects over extended periods of time before presentation. Regardless of what medium we choose to present, our goal is to create performances that are honest and entertaining. Something is always cooking in the kitchen with Julia and Lulubelle productions! 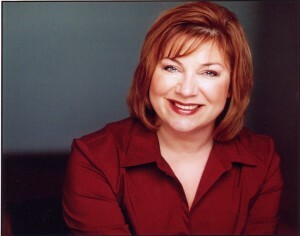 Julia is an actress, writer and executive producer of Lulubelle Productions. Favorite roles include Rheana in Les Belles Soeurs, Helga in Deathtrap at the Toronto Centre of the Performing Arts, Simone in Bedful of Foreigners at Harbourside Playhouse, Sister Robert Anne in Nunsense 1 and 2, and Mona in Best Little Whorehouse in Texas. Julia has also kept herself busy with character roles in independent film, television, commercials and voiceovers. With warmth and humour in I Remember Mama Julia tells the stories of three women – her Estonian mother, Italian grandmother and Scottish mother-in-law – who illuminated her life with their strength, courage and insight. I Remember Mama made its debut in July 2011 at the Tarragon Theatre for the Toronto International Fringe Festival and was remounted at the Wychwood Barns Theatre in 2012, at Tartu College and the Columbus Centre in 2013.